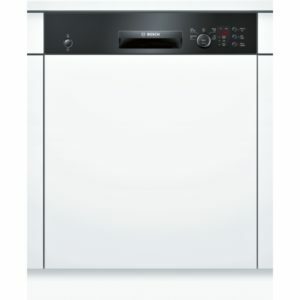 Introduce your kitchen to the Neff S41E50N1GB Full-size Semi-integrated Dishwasher and complete your washing up chores with a choice of programs. 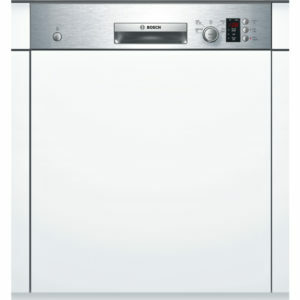 The S41E50N1GB has five programs that clean plates, dishes and other kitchen equipment to perfection. 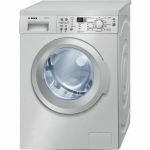 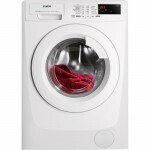 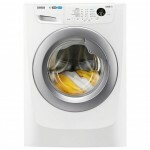 These include an automatic program for quick and simple washing and an economy programme that saves water and energy while you wash. 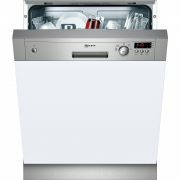 There is the VarioSpeed Plus option for even faster cycles, ideal for when you’re short on time, washing dishes 50% quicker, without compromising on the results. 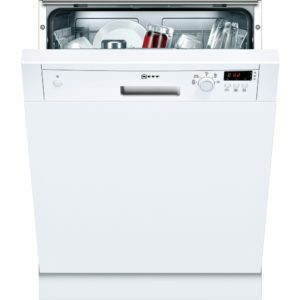 With the EcoSilence drive you’ll be able to clean your plates without having to put up with a noisy dishwasher. 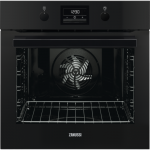 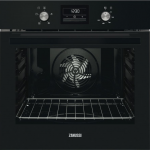 The S41E50N1GB performs quietly and efficiently, making it ideal for open plan spaces. 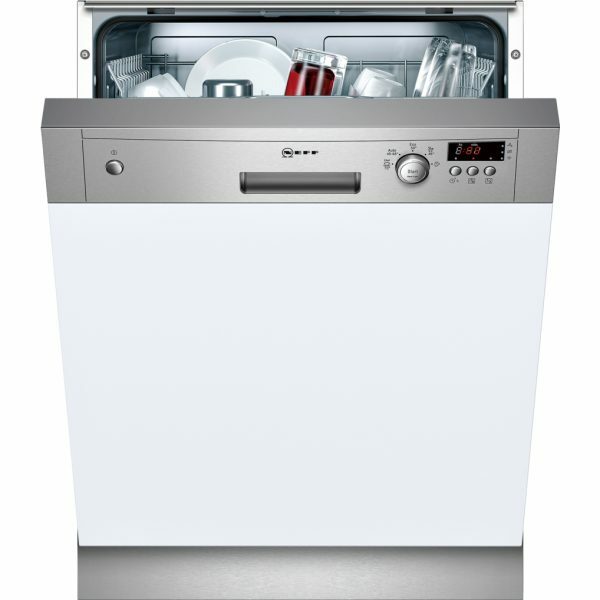 With an A+ energy efficiency rating, you can rely on the Neff S41E50N1GB Full-size Semi-integrated Dishwasher for effective and efficient cleaning.